This week marks a pivotal point in this year's session of the Virginia General Assembly, when the Senate and House of Delegates begin considering bills approved by the other legislative chamber. Thus far, our team is encouraged by the success of numerous bills that, if enacted, would improve transparency, accountability, and affordability at Virginia's public colleges and universities. We have been proud to advocate for these important reforms and are grateful for the support we've received from concerned activists, citizens from across the Commonwealth, and prominent organizations. Advocating for public comment legislation, we were joined by a wide range of community leaders and our friends at AARP-Virginia, the Virginia PTA, the Virginia Education Association, and the Virginia Coalition for Open Government, and are grateful for their confidence. Here is a brief update on Partners' initiatives. The House of Delegates' proposed budget bill prioritizes college affordability by allocating an additional $45.7 million for a tuition freeze at public colleges and universities, based on individual institutions' six-year financial plan. Public college governing boards can choose to accept these additional funds in exchange for freezing tuition rates this Fall. According to Delegate Nick Rush, who chairs the Higher Education subcommittee within House Appropriations, "there is no reason that our colleges should not be able to provide Virginia families with a break from another year of tuition increases." 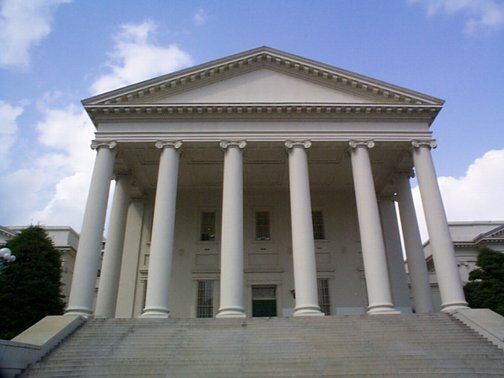 While decisions to raise tuition at Virginia's public colleges and universities are currently made without any required public comment period, these bills require governing boards at public institutions to hear from student and family consumers, and other concerned citizens before voting to set tuition and fee rates. To provide more information to Virginia's lawmakers, students and their families about why tuition may be rising at different rates, this measure establishes a statewide process for setting tuition and fees, requires public institutions to provide the General Assembly with formal justification about proposed increases to tuition and fees, and mandates a period of public comment prior to rate setting decisions. SB 1593 (Dunnavant) – SCHEV; financial aid award notification. These measures require public colleges and universities to use consumer-friendly financial aid disclosure letters to provide students and families with more and better information about how much it might cost them to attend one school versus another, thus helping prospective students make better decisions about their investments. SB 1234 (DeSteph) – Higher educational institutions, public; governing boards, educational programs. These bills require that a review of student debt trends be routinely included as part of training for Boards of Visitors to ensure those who approve multi-billion-dollar budgets and raise tuition and fee rates are made aware of the fiscal impact these decisions have on their students who attend our public colleges and universities. Additionally, HB 2620 requires that during training presentations, board members are reminded that their primary duty is to the Commonwealth of Virginia, its citizens, and its taxpayers. HB 2380 (Hurst) – Higher educational institutions, public; online course catalogue, no-cost/low-cost course materials. To allow students to consider the cost of textbooks and course materials before deciding which classes to take, this bill requires that online course catalogues identify which classes are taught by instructors who exclusively use no-cost or low-cost materials.